Phia's summer gets turned upside down when her sister Lucy arrives home from college and declares that she no longer wants to be a lawyer, and instead has decided to become an actress. While trying to figure out what's gotten into her sister, Phia is repeatedly thrown into the path of Lucy's best friend Daniel, who's also back in town after his first year at college. As Lucy begins to draw away from her family and Daniel in the pursuit of her newly acquired acting dream, it leaves Phia and Daniel spending a lot of time together. As they begin to get to know each other, they discover that they have a lot in common, especially their love of music. Hannah Harvey is a twenty two year old author of young adult fiction. She's self published two previous books, 'How I Got Here' and 'After Summer' both of which are available on the Kindle marketplace. She runs her own blog where she reviews all the books she reads, talks about her writing and does other book related things. When not working on her writing, Hannah is an avid reader. 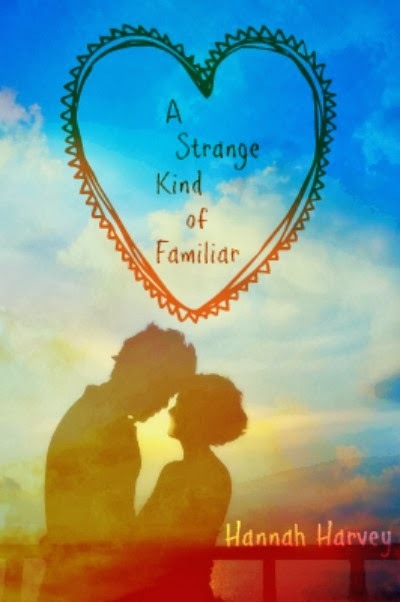 Don't forget to check out "A Strange Kind of Familiar" at Amazon on March 1st!